Taking place during the pivotal 2016 primaries in March. 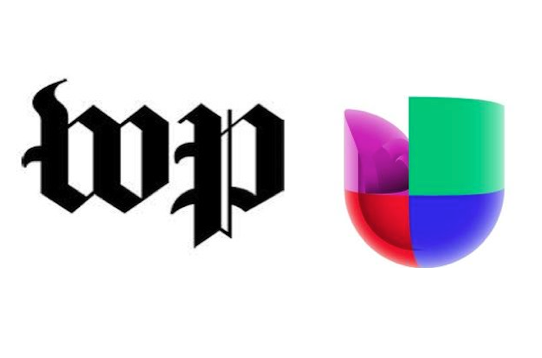 The Washington Post and Univision News have announced they will be co-sponsoring a forum for Republican presidential candidates in March, according to a press release from WashPostPR. Collaboration on the forum, taking place during the pivotal 2016 primaries, will include “groundbreaking polling” and “joint reporting projects.” Perhaps the most intriguing aspect of the announcement, however, is the “unprecedented coverage” that will be devoted to Hispanic voters and the major issues of this key demographic. The Post-Univision forum will follow the primaries in the initial four state contests (Iowa, New Hampshire, Nevada and South Carolina) with major battleground states looming on the March calendar (Texas, Florida, Ohio, Virginia and Michigan). The exact date, location and candidate invites will be determined by the “state of the race,” according to the announcement. As part of the collaboration, some Spanish-speaking reporters and editors from The Post will appear on Univision, such as political blogger Jose DelReal, campaign reporter Ed O’Keefe and PowerPost editor Rachel Van Dongen.